Our brilliant Café au Lait pods are now available in a pack of thirty, just right for fans of the classic milky coffee. 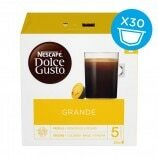 Find out more from NESCAFÉ® Dolce Gusto®. 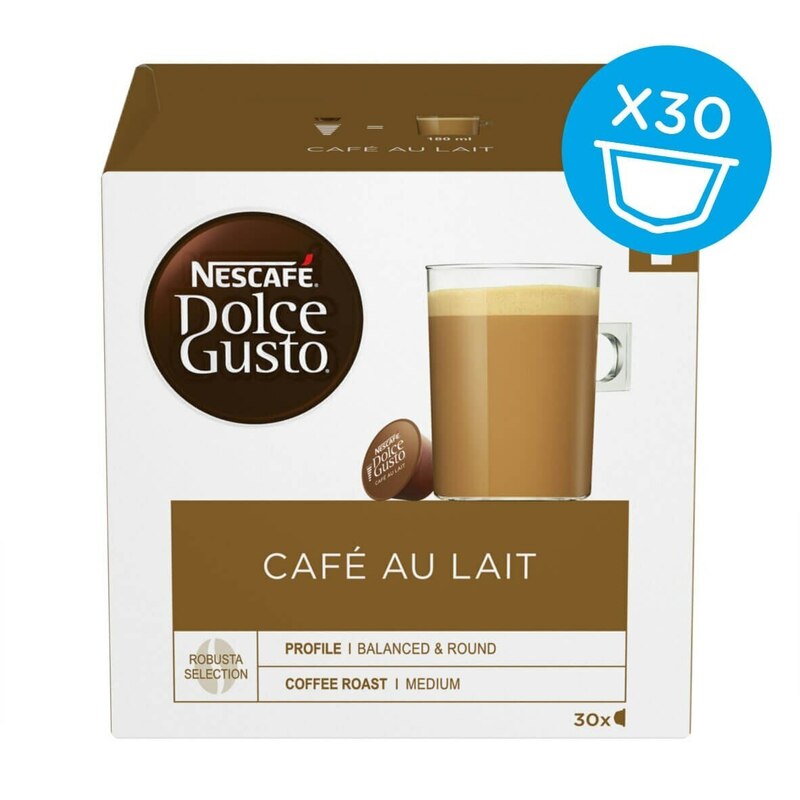 Café au Lait is a truly delicious drink for any time of the day, and now these coffee pods handily come in a pack of thirty. Brilliant as part of a yummy breakfast or shared with friends in the afternoon, this coffee-and-milk combination is a firm favourites in many kitchens – if you’ve ever sipped one, you’ll know why! With everything you need all in one coffee capsule, our Café au Lait is wonderfully easy to make. Just pop it in your Dolce Gusto® machine, and its maximum 15-bar pump pressure will ensure a brilliant drink in every cup. As you get thirty coffee pods in your magnum pack, you can enjoy those coffee moments as many times as you like with maximum style and minimum fuss. With a creamy appearance and lovely aroma, our Café au Lait looks and smells just as good as it tastes. You could show these coffee pod drinks off in a Grande cup, and serve with our elegantly-designed spoons for maximum ‘wow factor’. However you choose to present your delicious drink, the iconic taste of milky coffee is one that you’ll be able to relax with whenever you need a break. This is hardly a good buy ! Why are your coffee pods the same price in all supermarkets ? Is there some sort of cartel going on ? Great taste, but could be cheaper? This is a really authentic-tasting café au lait, it immediately brought back memories of skiing in the Alps! However, I agree with previous reviewers that this pack needs to be priced more competitively; it's not really much of a discount. All my favourite coffees on tap. Nice idea, although not so good offer. 30 capsules for 7.11 when buying 2 boxes (32 capsules) is around 7.80. Not such big saving for 2 capsules. You can do it much better. What about 30 Capsules for 6.50? Make it worth it to buy it directly from you. :) Nevertheless I love this Café Au Lait. 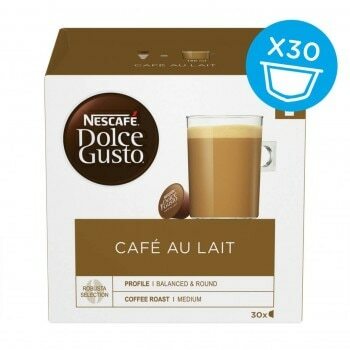 I have just about given up buying from Dolce Gusto, only buy from them when I am unable to get what I want from Asda. Nestle are too expensive to buy from now. My favourite, re purchase every time!